Cord cutting with a strict data cap. Yes you can still cut the cord. When I cut the cord we had DSL 10 down with a 250GB cap. We quickly learned how to cut the cable and stay under our 250GB cap. We know it can be scary if your new to cord cutting, fearing overage costs from your ISP. It is very possible to cut the cord and stay under your data cap. We will show you how with these three steps. The single easiest change that will save you the most GB is turning off auto play. If Netflix runs 2 hours every night after you fall asleep that is 180GB of data you just sleep through. Turn it off on Amazon, Netflix, and Hulu. Having to click the next episode really cuts back your data used. If you’re working around the house and walk out of the room or fall asleep you don’t want to be using data you’re not watching. If there is a show you always watch consider downloading it from Amazon. My daughter loves Princess Sofia; she wants to watch it every night just before bed. I went and bought the season on Amazon and downloaded it to the laptop that is connected to the TV. My wife loves King of the Hill and plays it in the background when working around the house. So we downloaded it to the laptop and she watches 5 or 6 hours of King of the Hill every week without using up extra GB. We all have a show, or two, we watch over and over just for background noise. Let’s say you and the kids watch 9 hours of the same shows every week; that works out to about 114 GB saved. One of the best ways to save some GB is to watch shows in SD. For me, I can’t tell a difference between cartoons like Family Guy in HD or in SD with a good connection on Amazon Instant or Netflix. If you watch older pre-HD shows the quality looks the same from SD to HD on many of the online versions. SD takes a third of the data of HD and saves a ton of GB when using Netflix. So, for every hour of content you watch in SD you save 2GB. I get all my kids shows in SD and they don’t even notice. 180GB a month by not having auto play on. 114GB a month by downloading your favorite shows. 80GB a month by watching SD, if you watch 10 hours of SD videos a week. That means you have saved 378GBs just by doing these three easy steps. If you really want to save some get a antenna like the Mohu Antennas and a DVR like the Tablo DVR. A antenna and DVR can save you a lot of data. Instead of streaming many of the most popular shows you can watch them for free over the air. A antenna should be part of every cord cutters set up especially if you have a data cap. In the end it is very possible to cut the cord with a data cap. My family and I did it for over a year with a 250GB cap and never went over our limit. In short, if I was watching TV I had it running, if I wasn’t watching I stopped the stream. Do you have any tips to staying under a data cap? Please post them in the comments so others can use them. Please follow us on Twitter, or like us on our Facebook Page. Everything we know about the future of Hitbliss. 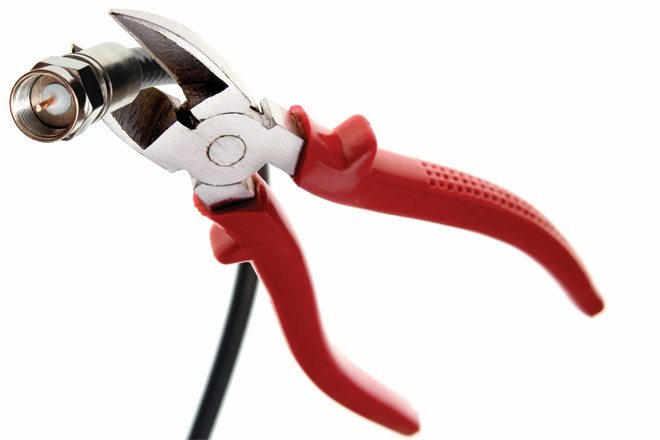 3 Responses to Cord cutting with a strict data cap. Yes you can still cut the cord. I would also recommend OTA TV (especially if you can record it). Even a cheap Homeworx HW-150PVR can allow you to record content for playback later (either from the box, or you can transfer the files to a media center or other device). Great suggestion we got so focused on streaming we forgot about OTA. Thanks! Get an Tivo Roamio OTA dvr. They sell for $49 and if you act now you can get lifetime service for $249. I ordered one and it will be on my doorstep on Friday.